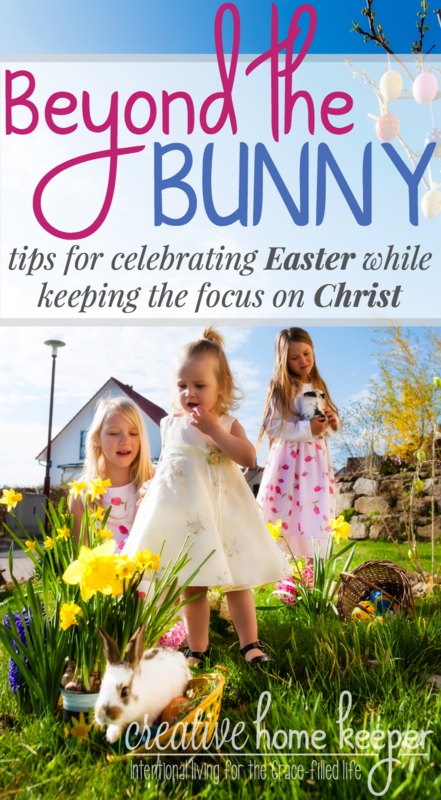 Easter is almost here and while I do focus most of our attention on the real reason why we celebrate Easter, I also enjoy some of the fun activities as well, including providing our children with frugal and intentional Easter baskets. 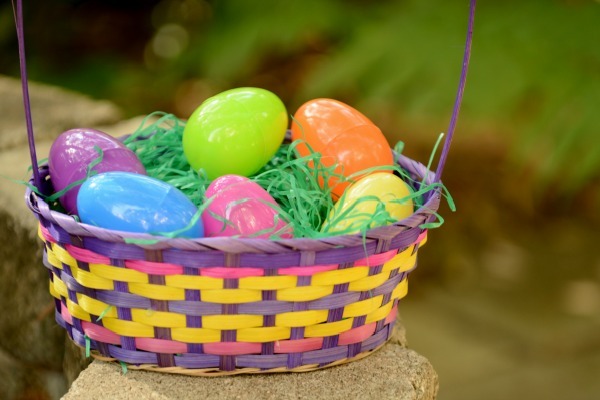 Soon my kids will attend an Easter egg hunt, dye some eggs at home, visit the bunny statues displayed on the Plaza and they will also receive a small Easter basket. Just like at Christmas where we do give small gifts in stockings, my kids will also get a few things in an Easter basket. 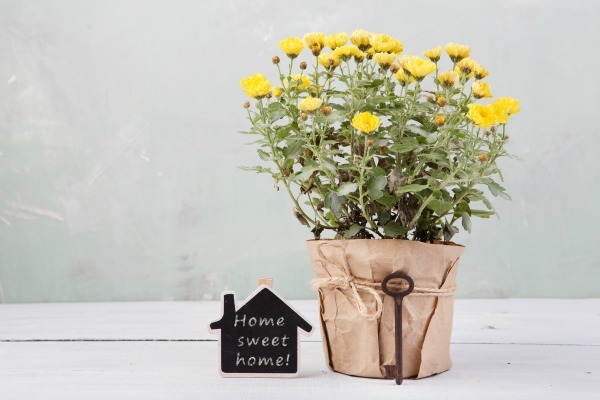 I know some may disagree with this, but both my husband and I received small baskets when we were kids and I love the tradition. Don’t get me wrong, we are NOT promoting the Easter bunny (just like Santa), my kids will know who gives them their Easter baskets. And we are also spending plenty of time reading Easter books that gently teach my toddlers about the death and resurrection of Christ. 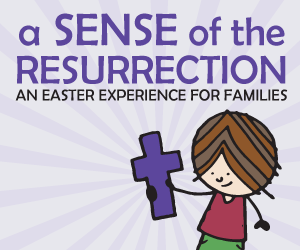 We will also be doing some of the activities in Sense of the Resurrection. 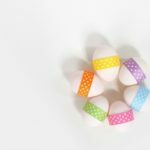 There are just some of the spring Easter traditions that I enjoyed as a child (like egg dying, hunts and baskets) that I want to enjoy with my kids as well. 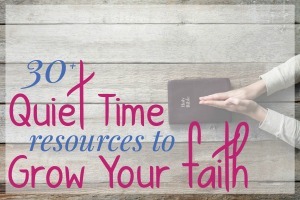 With all that being said I wanted to share with you some fun, easy and non-candy related items that would be perfect in your kid’s Easter baskets. A few years ago, I made the investment into purchasing small personalized baskets with my kid’s name monogrammed on them. These will last for years, are perfect to collect their eggs in, and will be a place to arrange their few, fun goodies on Easter. If you are not super crafty or know your way around a sewing machine (as I do not) then purchasing a personalized basket is a great idea. I also don’t spend more than $10 per child because I don’t want to fill their baskets with a bunch of stuff. 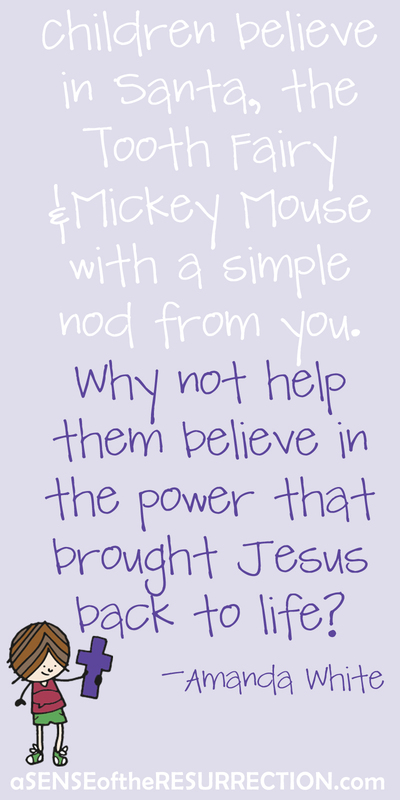 I want to be intentional with the few small gifts that we do buy for them. One of the biggest ways that I save is that I don’t include candy or any other food-related treat. Between grandparents and the Easter egg hunt they will go on, I’m pretty confident that they will acquire a small collection of sweet treats. Plus I only have a small budget to work with, so I want to make what I fill their baskets with worth it. If you do purchase candy, stack a coupon with a sale or stock up at your dollar/discount store. Another area of savings? Skip the cheap, plastic grass that ends up getting everywhere. You don’t really need it anyway, and it’s more of a hassle than it’s worth, so just skip it. So what are my guidelines for what I place in their Easter baskets? I focus on 3 areas: something creative, something practical, and something inspirational. My kids are at the age where they LOVE creating with their hands whether that be through art supplies, a toy that requires them to use their imagination or something that encourages exploration in nature. play-doh, play foam or modeling clay (or you could make your own to be even more frugal, not to mention safer) Play-doh tools are also fun too! Let’s face it, there are practical things that my kids need. Yes, sometimes they are not necessarily fun things, but I want my kids to learn that sometimes gift giving is also about giving and getting things that we need too. But I do try to make these fun, last year I gave Silas a pair of sunglasses in his basket and he LOVED them, which was both fun and practical! I think this is the most important gift area and one that I do spend a little extra effort! 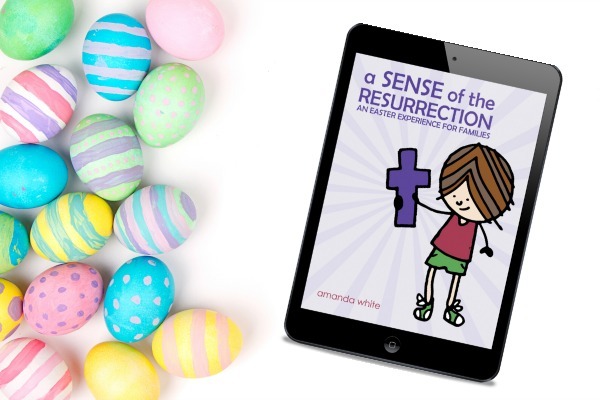 Since my kids are still young, most the gifts in this area are board books that tell the story of Easter, contain Bible stories or teach a lesson on prayer, morality or serving others. 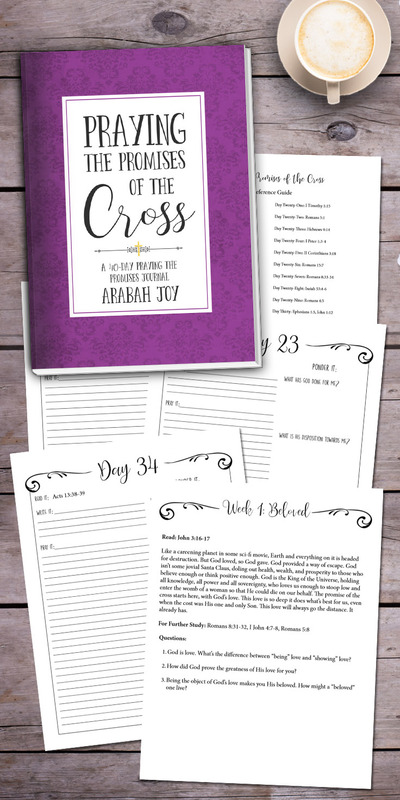 As my kids get older I hope to introduce my kids to journal keeping, Bible study resources or spiritual formation books that help guide their faith. 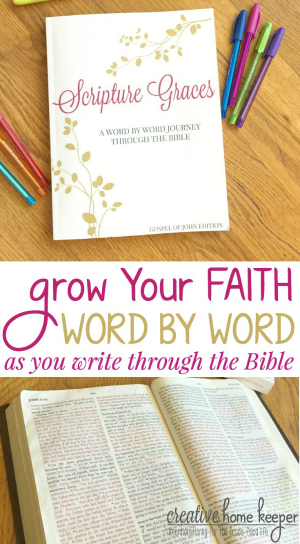 Want even more ideas for gifts to grow your child’s faith? 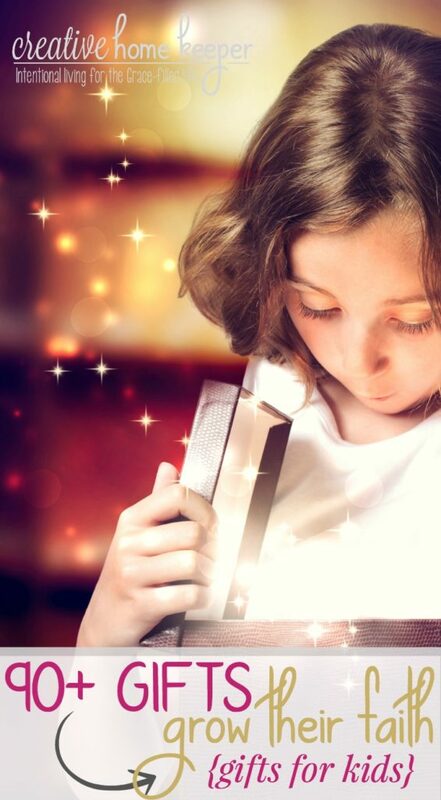 Check out this massive list of over 90 inspirational gift ideas! 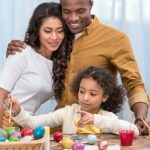 Obviously a lot of these things are over my $10 budget, and I don’t give my kids everything on this list, but I wanted to give you some ideas of somewhat frugal, creative, practical and intentional gifts you could place in your child’s (or grandchild, niece, nephew or friend) Easter basket. Another frugal tip: Visit the dollar store! 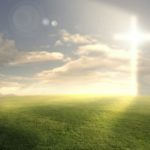 I have shared before the dollar store is a great place to find resources to teach your children about God and the Gospel. 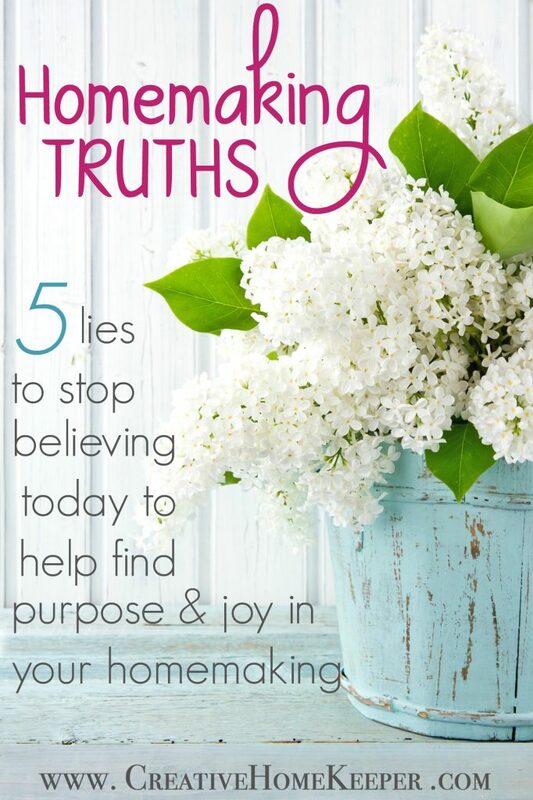 So many of these items could also be found at the dollar store too, especially most of the items on the creative list. And it doesn’t have to be name brand either! I know some people are partially biased to Crayola crayons and markers, and while they are great, if your kids are anything like mine then crayons get broken (or chewed on) rather fast. So dollar store crayons are the perfect choice for when they are young. 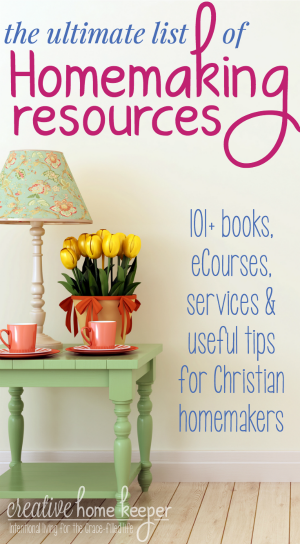 If you need some additional ideas or inspirations, you can check out this list of stocking stuffers too. Christmas stockings and Easter baskets are the perfect way to give small, meaningful (yet still fun!) little gifts! 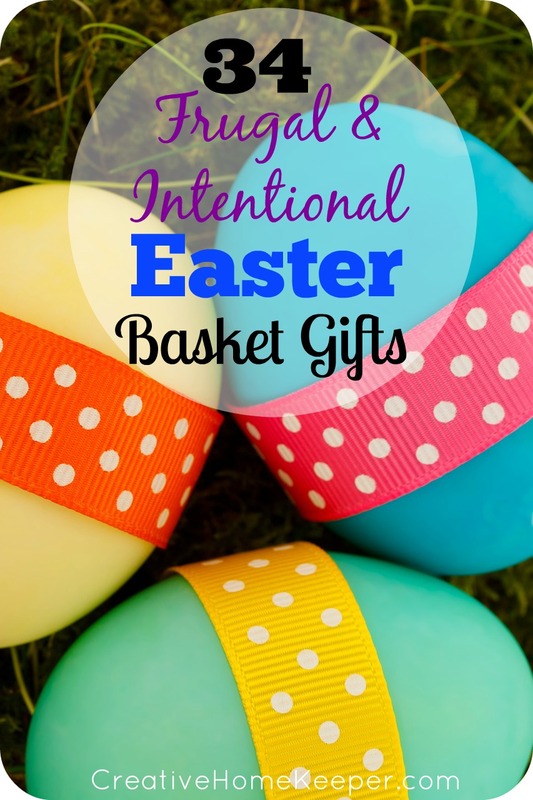 If you give your children an Easter basket do you have specific guidelines that you use to fill your basket? 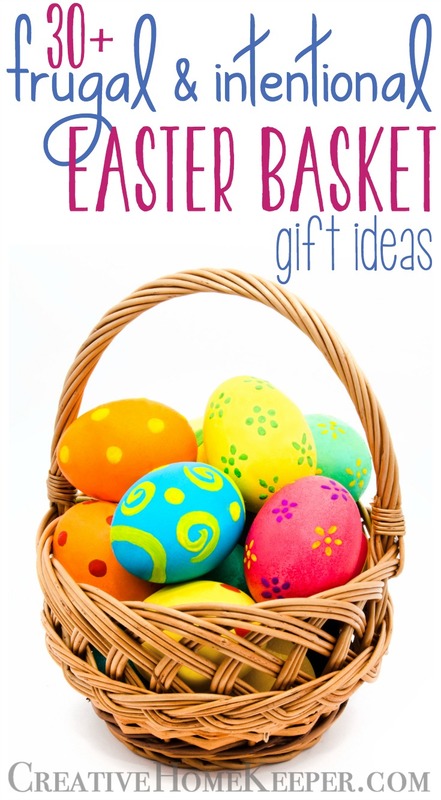 What are your favorite frugal Easter basket fillers? Great ideas – thanks so much! I found you on the SITS Sharefest. I like the three categories that you use for choosing small things to go in the basket! Happy Easter and thanks for sharing and linking up with us at the #WWDParty. That is a great idea to freeze candy! I didn’t even know you could do that 🙂 Thanks for sharing your tip and I’m sure your grandsons are going to love their baskets!!! We do books usually too for family devotions, but I was in a passion play 3 days this week, and we had practice every night this past week, so it was different this year. My mom has made the baskets for my kids that they use every year. This year the three oldest girls got Frozen (DVD) as they really wanted it, my son got a sponsored post gift ;), and my youngest got bubbles-she was extremely happy. They all got a little candy, so for all 5 of them, I spent about $25. 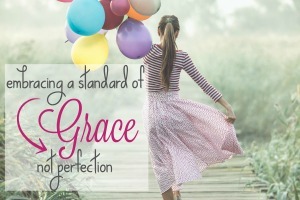 Thanks for linking up with the Bloggers Brags Pinterest Party. 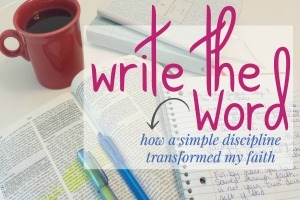 I have pinned your post to the Bloggers Brags Pinterest Board! 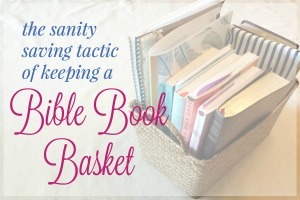 I love this list -we always give baskets to the grandchildren. I have a few sweets but this will help me give some other great gifts. We live in Germany – as far as I’m aware, Easter baskets are not a tradition here but in the recent years, people have taken to giving kids presents (turning into something like a mini 2nd Christmas). Retailers (obviously) come up w promotions to encourage this too. Last year, my 8 year old asked why we don’t give them presents unlike his friends’ parents. I replied that he has already received the greatest gift of all – the gift of life. 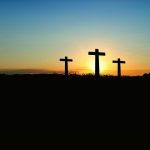 Someone has died for him and it is impt to remember that this is why we celebrate Easter. Not for the presents. He understood and didn’t press further.